President Barack Obama has nominated Appellate Court Judge Sonia Sotomayor for the U.S. Supreme Court. If confirmed by the U.S. Senate, Sotomayor will become the first member of Latino heritage to serve on the nation's highest court. 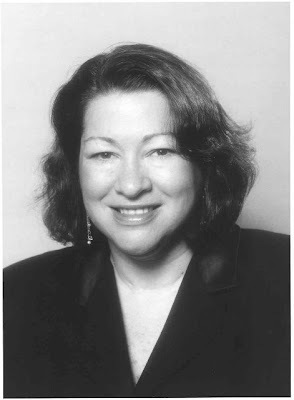 Judge Sonia Sotomayor is a self-described "Niuyorican" who grew up in a Bronx housing project after her parents moved to New York from Puerto Rico. She has dealt with diabetes since age 8 and lost her father at age 9, growing up under the care of her mother in humble surroundings. As a girl, inspired by the Perry Mason television show, she knew she wanted to be a judge. Awarak Wakia Tribe of Ponce, Puerto Rico presented in music and photos. Maria Amelia Lopez (1911-2009): R.I.P. 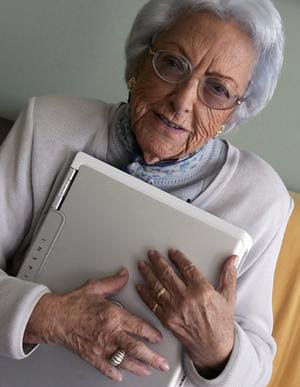 The matriarch of Spanish language blogging has died at age 97 in the northern Spanish province of La Coruna. Maria Amelia Lopez charmed readers with reminiscences and folksy chat at A mis 95 años/95 years old blogger, including stories about Spain's Civil War and life under the dictatorship of General Francisco Franco. Doña Lopez, who dictated her entries to her grandson Daniel because she suffered from cataracts, became a beloved figure in Spain and across the globe. Part of Doña Lopez' purpose was to inspire other seniors to connect with people via the internent, share stories and to continue learning. May she continue blogging from heaven. Shortly after she totes her two children from Colombia to reunite with her husband in Queens, New York, Mariana's (Paola Mendoza) life is devastatingly turned around when he abandons her to fend for herself in a hard-knock new country. 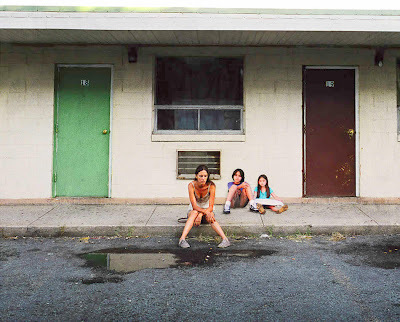 Mariana desperately searches for work against the unwieldy city landscape, but she and her kids can't help their treacherous slide into homelessness. Struggling to build a network of allies, like Preet (Sarita Choudury) a single working mother, to help provide for her family, Mariana resourcefully navigates a surprising avenue for making some money—the city's recycling. With the help of her 10-year-old son, who must come of age early to keep his family together, and her young daughter's charm, the family joins forces to face the odds together. Director José Padilha (Bus 174) follows up his Golden Bear-winning Elite Squad (TFF '08) with this austere, unflinching examination of the realities of chronic hunger for three Brazilian families. 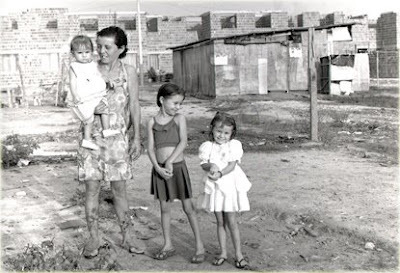 Rosa, Robertina, and Lucia live in variously urbanized areas of Brazil, but all share the daily struggle with acute undernourishment, which forces them to feed their children garapa, a cheap mixture of sugar and water effective at staving off hunger pangs but devoid of nutritional value. This is a degree of poverty relegated to statistics, too often stripped of its human face and of the lived experience of such profound deprivation. Filmmaker Jonathan Hock (Through the Fire, TFF '05) accompanies Tiant on his long-awaited return to his homeland after a 46-year exile. Hock shows a conflicted man. 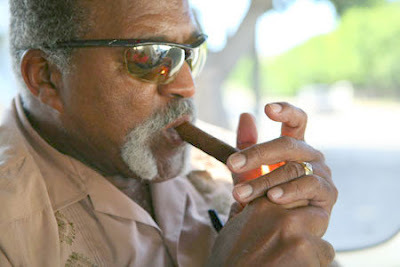 By most accounts Tiant has led a great life, but he now finds himself filled with thoughts of guilt for those left behind who toiled in poverty and watched his heroics from afar. Hock's film is not simply the story of a baseball star, but a representation of how 50 years of Cuban-American relations (or lack thereof) have affected so many living on opposite sides of that 90-mile divide. Co-Producers: Philip Aromando, Victor J. Melfa, Jr. Multiple stories of Latino life in the Big Apple interweave to show us what it takes to make it and how Latinos live together and support each other in the big city. From the well-established to the newly arrived, Latinos are connected to each other in so many ways. This musical parody, an homage to the poem that forged Cuban cultural identity, centers on a cabaret dancer who suddenly loses her rhythm. Tears stream down young Isabela's innocent face as the slender, gazelle-like girl is told she needs to slim down even more if she wants to turn her passion into her career. Like Isabela, Irlan's strictly regimented days leave him no time to be an average teenager. Isabela and Irlan are ballet dancers. And though they have the talent, they don't look like all the others. 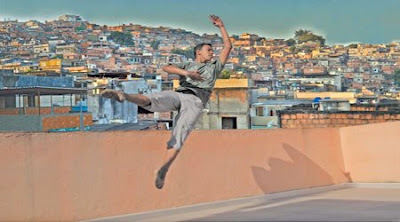 Ballet has long been the rarified and elitist domain of the white upper class, but these two black high schoolers from Rio de Janeiro's working-class favelas are determined to succeed in this physically and emotionally demanding discipline. Director Beadie Finzi's inspiring documentary trails the dancers and their tough-love mentor from Brazil to New York on one critical, competition-fueled year in their lives. In the early '80s, Jesse Diaz was a rising star in the hip-hop world. Now he's a broke single father living in a Harlem shelter with two children to support. But Jesse finally finds a shot at redemption in his nine-year-old daughter Priscilla, a precocious and immensely talented rapper. With older daughter Solsky the family's quiet cheerleader, Jesse and Priscilla look to parlay "P-Star's" talent into victory for the whole family. And that means long rehearsals, late nights, and home schooling for the growing girl. But as Priscilla's star really begins to rise, it'll tax all the relationships in her life and test Jesse in ways he never expected. 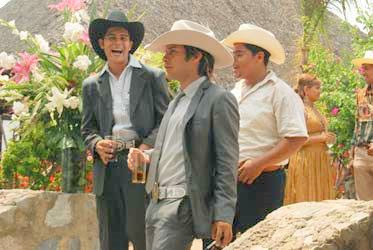 Gael García Bernal (Tato, aka Cursi) and Diego Luna (Beto, aka Rudo) reunite on-screen as a pair of thick headed stepbrothers who work all day on their family's banana ranch and get their kicks playing on a local soccer team. But when a slickly dressed, smooth-tongued recruiter, played hilariously by Guillermo Francella, eyes them for the big leagues, their small-town brotherly rivalry explodes onto the professional playing field. Colorful and full of energy, the film lightheartedly explores the brothers' sky-rocket ride to fame and all its dirty emissions. But in good times and bad, blood proves thicker than water—endorsement deals, supermodels, and penalty shots aside. Of the thousands of Latin American migrants traveling through Mexico with the hope of reaching the United States, approximately five percent are unaccompanied children. Director Rebecca Cammisa (Sister Helen) follows several such children on their grueling but ever-hopeful journey north. Kevin and Fito have fled their small town in search of greater opportunities in America. José set out for the States but was quickly apprehended and now languishes in the bureaucratic process of deportation back to Honduras. These are just a few of the true stories of young children undertaking the brutal odyssey from Latin America to the United States, never letting their dire circumstances overtake their youthful exuberance. Emerging Latino filmmakers, Adam Schlachter, Anthony Nardolillo, Carlos Gallardo, Fanny Veliz, Iris Almaraz, Katrina Elias, Ruben Obregon, and Shawna Baca on their passion, being Latino and making films.